This highly engaging textbook presents a linguistic view of the history, society, and culture of the United States. It discusses the many languages and forms of language that have been used in the US – including standard and nonstandard forms of English, creoles, Native American languages, and immigrant languages from across the globe – and shows how this distribution and diversity of languages has helped shape and define America as well as an American identity. The volume introduces the basic concepts of sociolinguistics and the politics of language through cohesive, up-to-date and accessible coverage of such key topics as dialectal development and the role of English as the majority language, controversies concerning language use in society, languages other than English used in the US, and the policies that have directly or indirectly influenced language use. These topics are presented in such a way that students can examine the inherent diversity of the communicative systems used in the United States as both a form of cultural enrichment and as the basis for socio-political conflict. The author team outlines the different viewpoints on contemporary issues surrounding language in the US and contextualizes these issues within linguistic facts, to help students think critically and formulate logical discussions. To provide opportunities for further examination and debate, chapters are organized around key misconceptions or questions ("I don't have an accent" or "Immigrants don't want to learn English"), bringing them to the forefront for readers to address directly. Language and Linguistic Diversity in the US is a fresh and unique take on a widely taught topic. 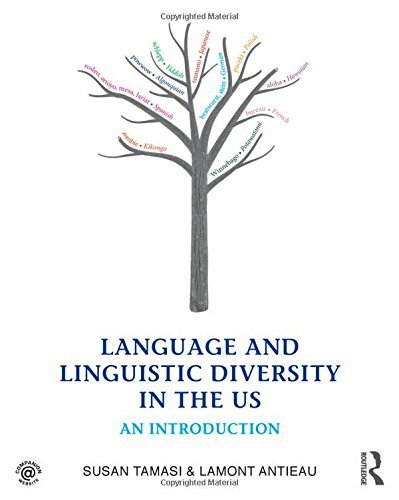 It is ideal for students from a variety of disciplines or with no prior knowledge of the field, and a useful text for introductory courses on language in the US, American English, language variation, language ideology, and sociolinguistics. View More In Politics & Social Sciences.